Check out this week’s Best Price Deals. 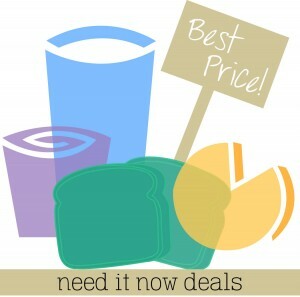 Use this list to get everything you have to have this week at the best price. Leave a comment below if you find any other great deals! Sweetbay – Jennie-O Turkey Bacon, 12 oz, $2.29 ea. Lowe’s Foods – Butterball Ground Turkey, 1 lb, $2.67 ea. HEB – Hass Avocados, 48¢ ea. HEB – Russet Potatoes, 5 lb, 98¢ ea. HEB – Limes, 10¢ ea. HEB – Cucumbers, 33¢ ea. HEB – Large Gold Pineapple, $1.98 ea. Harvey’s – Bell Peppers or Cucumbers, 75¢ ea. Lowes – Russet Potatoes, 10 lb, $2.97 ea. Lowes – Oranges, 4 lb, $1.97 ea. Harris Teeter – Large Carving Pumpkin, $5 ea. Harris Teeter – Pie Pumpkin, $2 ea. Harris Teeter – Large Limes, 44¢ ea. Harris Teeter – Mangoes, $1.29 ea. Harris Teeter – Green Onions, 69¢ ea. Sweetbay – Russet Potatoes, 5 lb bag, B1G1 at $4.29 ($2.14) ea. Publix – Large Pumpkins, $5.99 ea. Publix – Florida Tangerines, 3 lb, $2.50 ea. Publix – Publix Baby Cut Carrots, 16 oz, $1.29 ea. Winn Dixie – Pumpkins (In Produce), $4.99 ea. Bi-Lo – La Rouge Red Pepper, $1 ea. Bi-Lo – Green Pepper, 99¢ ea.